I use "only" a QRP station and the appropriate equipment for it. The major part of the equipment are developed from kits, some are also really and truly homebrewed. Only a very small section consists of ready-made devices. At this webpage you will find transceivers. The first transceiver, which I used, was a ready-made device. It delivers an output up to 5 W and can be used for all bands from 160 to 10 m.
I used this transceiver (#0815) so far only in the operating mode CW, although he is meant for SSB also. Its simple operation surprised me much. No key too much and no useless junk. Unfortunately this transceiver is not any longer manufactured. The manufacturer was Index Laboratories. The photo here comes from JH6RTO, since I sold my transceiver sometime but had not photographed it before. 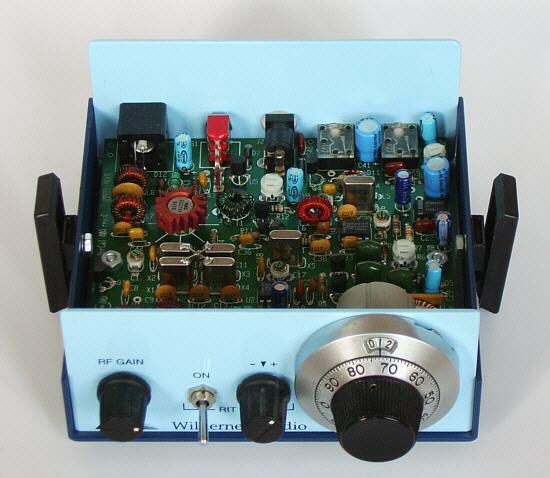 My first self-builded CW transceiver was a single-bander for 15 m. By the structure as superhet it is not neccessary to use a high working frequency of the VFO. Thus a good temperature-stability is attainable. The crystal filter with 900 Hz wide permits a good separation to neighbouring stations. 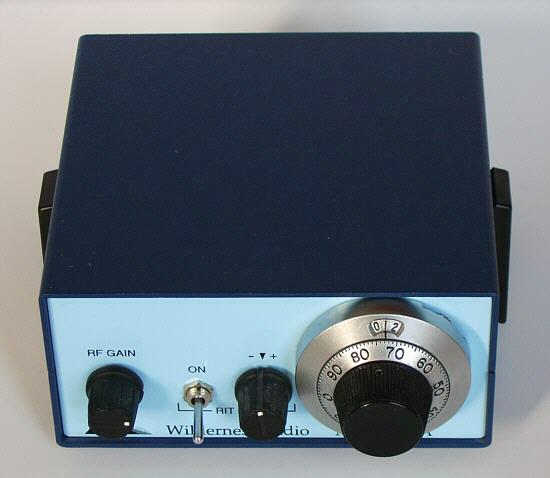 With an output of 2 W and a tuning range of 100 kHz one can operate well on the whole CW area. The transceiver let me collect as ZS/DK3RED my first experiences on the other end of a DX connection. Unfortunately this transceiver kit is not any longer manufactured. The manufacturer was Small Wonder Labs. Modifications: Since the monitoring tone was too loud for me, I made a modification in the AF section. Since the transceiver possesses from house no frequency counter, it was re-tooled by me with a counter without current. 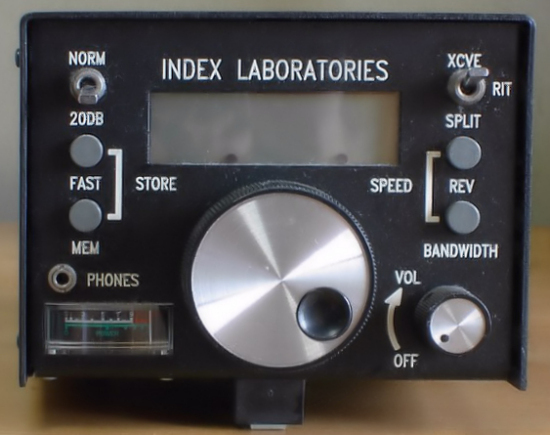 Fast a second single-bander for 10 m followed the first built CW transceiver. By the structure as superhet it is not neccessary to use a high working frequency of the VFO. Thus a good temperature-stability is attainable. The crystal filter with 900 Hz wide permits a good separation to neighbouring stations. 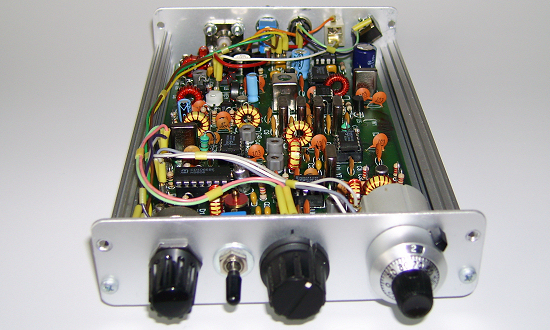 With an output of 1.5 W and a tuning range of 80 kHz one can operate well on the whole CW area. 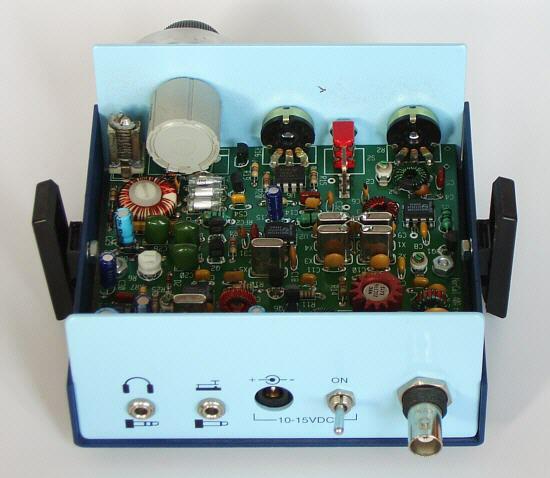 Unfortunately this transceiver kit is not any longer manufactured. The manufacturer was Small Wonder Labs. Modifications: Since me the monitoring tone was much too loud, I made the same modification in the AF section like by the Green Montain 15. Since the transceiver possesses from house no frequency counter, it was re-tooled by me with a counter without current. This transceiver is a compact device for the 40 m band, which was optimized for portable and battery operation. It has a very small current consumption of for instance 15 mA in the case of receipt. 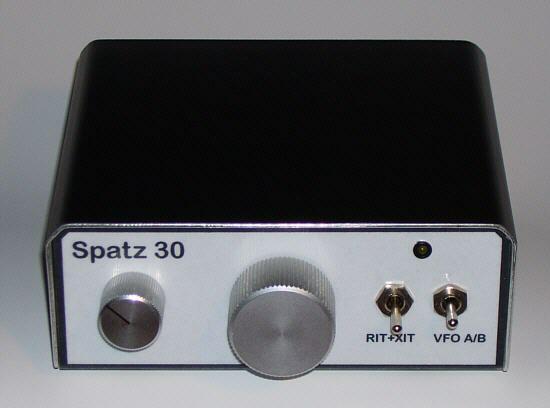 As another characteristics the RIT, the gentle transmit-receive switching is to call the check of the output signal and the variable power output of up to 3 W. A tuning range from 35 to 40 kHz is sufficient for the CW area. It's no problem to reach with this transceiver Japan with 3 W output! The manufacturer was Wilderness Radio. This transceiver was also buyable from QRPproject. Modifications: In the first step I replaced the simple potentiometer for the "VFO Tune" with a 10-turn potentiometer. Thereby you can turn the frequency more delicate than before. For the transceiver Wilderness Radio offered a combined keyer-frequency counter named KC1, however I replaced simple the normal knob in the second step with a counter without current. I did not create it so far yet to structure this transceiverds. It is still situated as pile of electrical elements in a box in the shack. The necessary modifications for the operation of the 40 m basic version to 80 m are specified in the owner manual. The manufacturer was Wilderness Radio. This transceiver was also buyable from QRPproject. 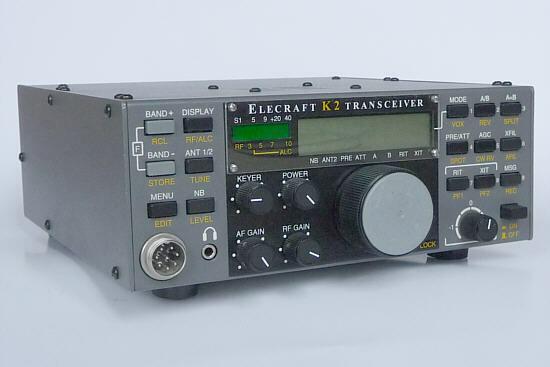 On May 10, 2000 a new K2 by Elecraft was "born", which take notice of the name #01118 and which is usable in the basic version for CW on all bands from 80 to 10 m with up to 10 W. This transceiver is also buyable from QRPproject. In the meantime are now installed in the transceiver an internal battery, an 160 m modul, a second RX input, an AF filter and an internal automatic tuner. Additional in the meantime I solved some modifications for it, to upgrade it's performance and to adapt it to my requirements. 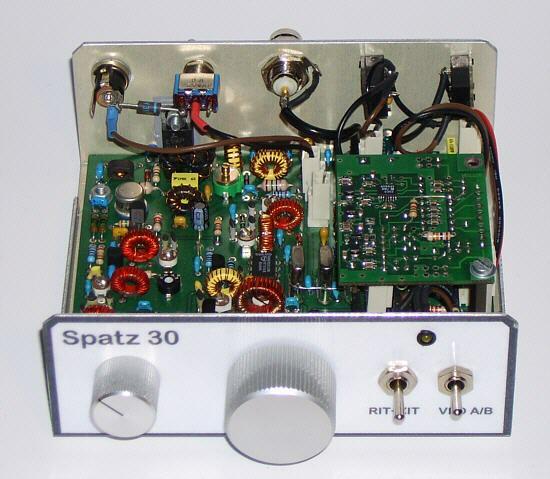 Peter Solf, DK1HE, styled in the year 2002 for the German QRP club CW monoband transceivers. This transceivers for 80 to 17 m was buyable from QRPproject. It should got really a ceramic resonator in it's VFO, but it existed strong and not to master drift problems, so a DDS VFO was inset. Thereby the transceiver received features, which been not realized before: RIT, XIT, keyer, variable tuning steps. The DDS VFO was designed by Steve Weber, KD1JV. The name of the transceiver is the German word for the bird sparrow. The receiver own a sensivity of 0.3 µV and a 8-pole crystal filter with a band width of 400 Hz. 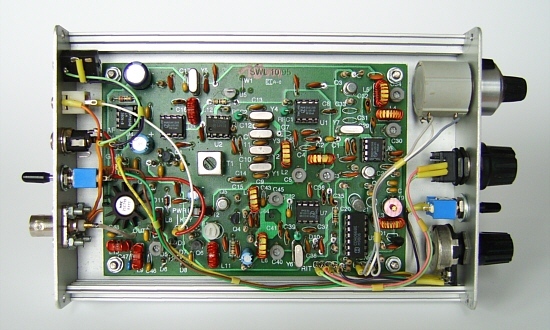 The robustly power amplifier of the transmitter can handle 5 W, which can one reduce. The current consumtion is during receiving 80 mA and during transmitting with 5 W output power only 630 mA. On 30 January 2009 the K1 with the name #2682 saw the antenna plug to the world after a problem-free building. 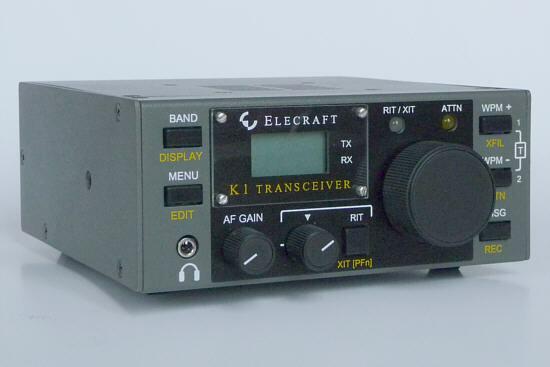 This transceiver by Elecraft is usable for CW with an output power up to 5 W. The production of the K1 was now been discontinued. I have builded my K1 with the 4-band filter board (KFL1-4) for 40, 30, 20 and 17 m. The K1 is also available as 2-band-version, whereat two bands are selectable between 80 and 15 m. In the meantime I have installed the antenna tuner (KAT1). This transceiver and the option are also buyable from QRPproject. 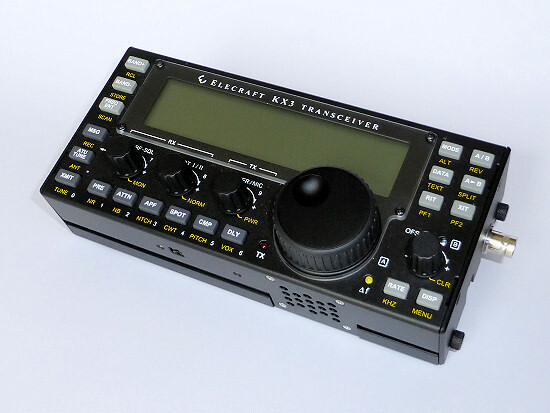 In March 2017 I acquired with the Elecraft KX3 (#09479) a transceiver, which was as an exception not a kit. This transceiver by Elecraft allows CW, SSB, AM, FM and Digimode with an output power up to 10 W on all band from 160 to 6 m, including 60 m. If you want you van add also modules for 4 an 2 m. I acquired the transceiver and the options by the QRPproject. They also took the installation of the desired options. I have just equiped my KX3 with an internal wide area ATU (KXAT3) and a pass-band-roofing filter (KXFL3). Also, I have ordered the small hand-held microphone MH3 − I have enough of Morse keys.